Rhode Island Pharmacists Association - 2017 American Pharmacy Month - Cheers with Peers! 2017 American Pharmacy Month - Cheers with Peers! Rhode Island Pharmacists Association and URI APhA-ASP invite you to join us to celebrate American Pharmacy Month! An evening of food, Providence Bruins Hockey, and fun providing pharmacists, pharmacy technicians, student pharmacists, and friends of pharmacy of all ages and practice settings an opportunity to gather, network, and find out more about RIPA, what we do, and how to get involved. 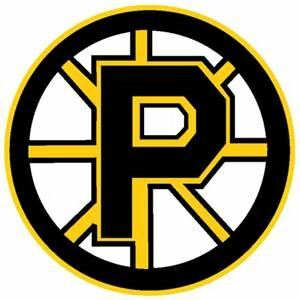 Come early to network, redeem your voucher for popcorn and drinks and then sit together for the Providence Bruins vs. Belleville Senators game starting at 7:05pm. All tickets also include a free Dunkin Donuts gift card! More details on when to arrive and where to pick up your tickets will be provided before the event. So don't be the only pharmacist, technician, student, or friend of pharmacy in the state not to be there - and bring your friends!